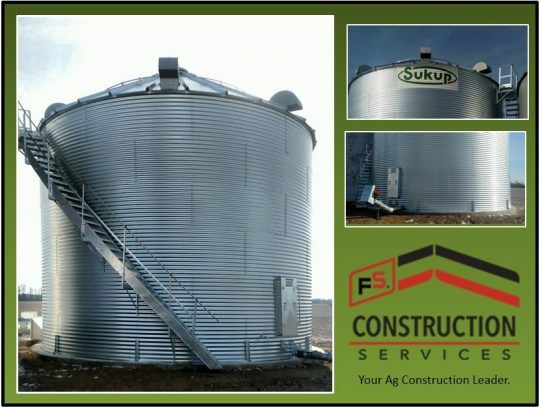 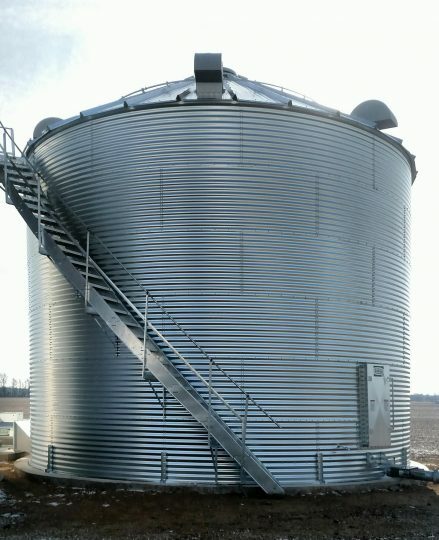 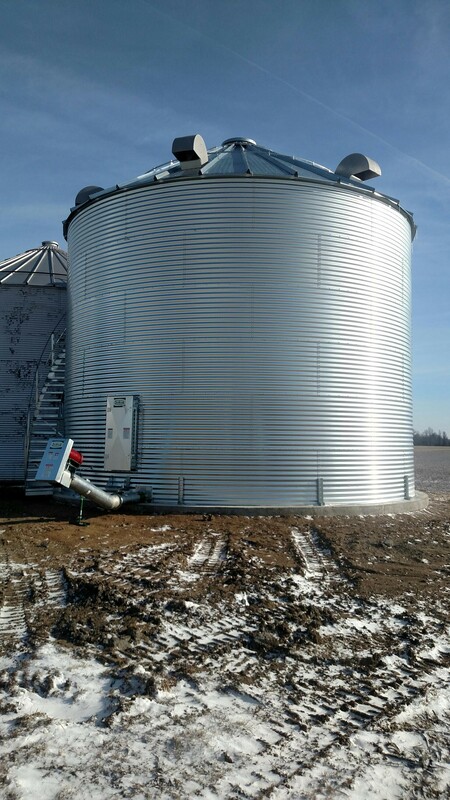 Over the course of ten days, our team completed this impressive Sukup 30’ diameter grain storage construction project. 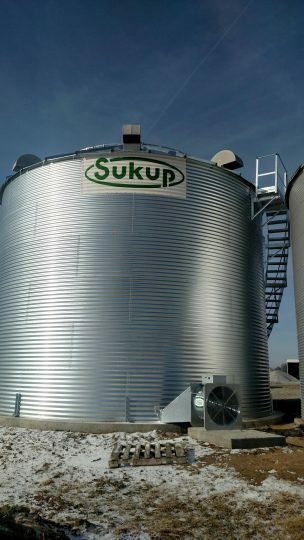 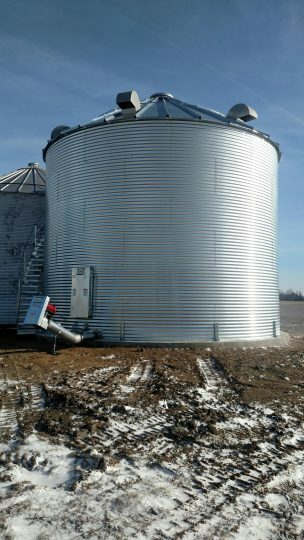 At 6 rings tall and with a capacity of 14,116 bushels, this Sukup grain bin will be operational for many years to come. 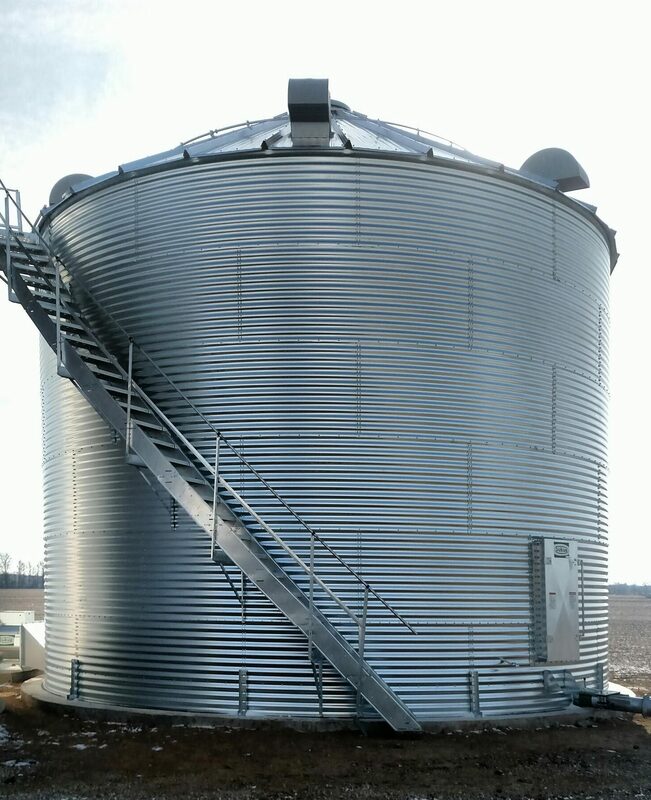 The project also featured concrete finishing of a heavy-duty floor, designed to be extra smooth for ease of sweeping, an axial fan, an incline unload for convenient handling and transfer, and stairs that also attached to an existing drying bin.